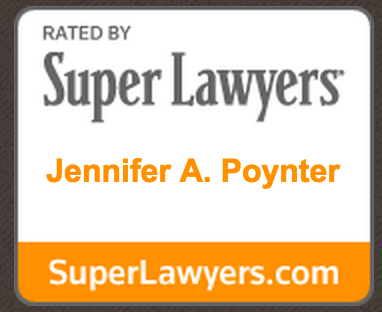 Jennifer Poynter has been a trial lawyer for over 22 years. She has experience in a wide range of areas including large loss property subrogation, commercial litigation, insurance defense, and personal injury. She has a truly unique perspective on the cases she handles because she has spent an equal amount of time handling cases on both sides. For example, Ms. Poynter has represented both the injured parties and the defendants in personal injury cases. She has filed suit in subrogation matters and also handled insurance defense cases. She understands what is necessary to successfully handle both sides. Jennifer Poynter is excellent at identifying key issues early on, fine tuning the cases to tackle those issues, and finding the appropriate common ground for early settlement. She will push your case forward, always keeping your end goal in mind. She is adept at finding a middle ground for those clients who want to settle their cases early. She has a history of obtaining successful settlements and excellent results for her clients. However, when settlement is not an option, she uses her long, solid history of trial experience to aggressively represent the client through the end. Jennifer has been extremely active in the legal community since early in her career, and she has served in numerous leadership roles on various Boards and Committees. She tried one of the first pro bono cases submitted to the Faculty of Federal Advocates in 1998. She became active in her local bar association and after several Board positions became President of the Arapahoe County Bar Association in 2006-2007. In 2008, she was selected by the Colorado Supreme Court Chief Justice to join the Judicial Performance Commission of the Eighteenth Judicial District, and later became Chair of that Commission. She was also appointed to the Colorado Supreme Court Hearing Board in 2011. 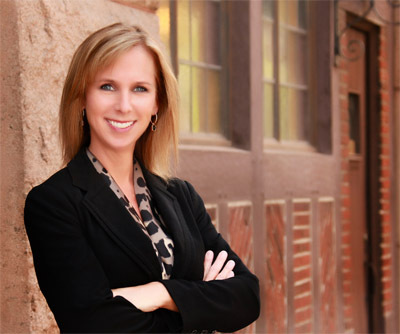 She is a member of the Colorado Women’s Bar Association and the National Association of Subrogation Professionals. She has been recognized as a top lawyer in her community. She was selected and named a Top Lawyer of the Year in Colorado for five years in a row by 5280 Denver Magazine’s Super Lawyer Section. Early in her career, she was awarded the Tommy D. Drinkwine Outstanding Young Lawyer of the Year by the Arapahoe County Bar Association in 2002. She also earned the Distinguished Service Award, Faculty of Federal Advocates in 1998. Ms. Poynter has prepared and presented numerous programs related to general litigation tactics, claims handling and large subrogation issues to clients around the country.